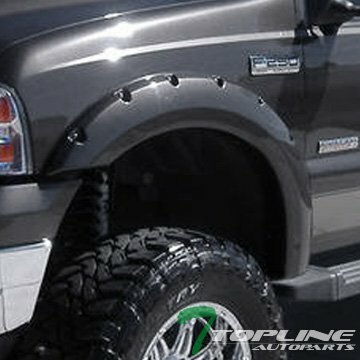 * Technical Tips: A Fender Flare Can Add A Stylish Element To Your Car That Can Be A Pleasing Auto Body Aesthetic, As Well As Functional For Oversized Rims. And The Good News Is, It Is A Pretty Simple Process To Add Them To Your Fenders. ** Installation Notes: Measure Off The Body Line To Get The Flare Level. Use Crepe Tape To Position The Flares, This Will Be Easier When Riveting It In Place. Take Your Time And Make Sure They Are Level.